That is so creative! What a great basket to donate. Love the pillow! And the basket theme! And the community service! That’s fantastic! 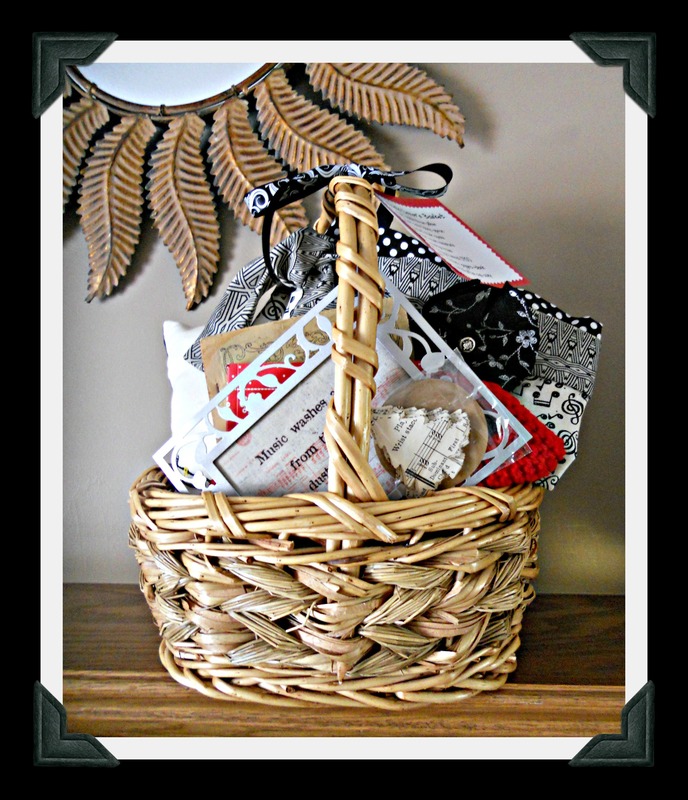 I love making gift baskets myself, coming up with creative themes like this. Great job! 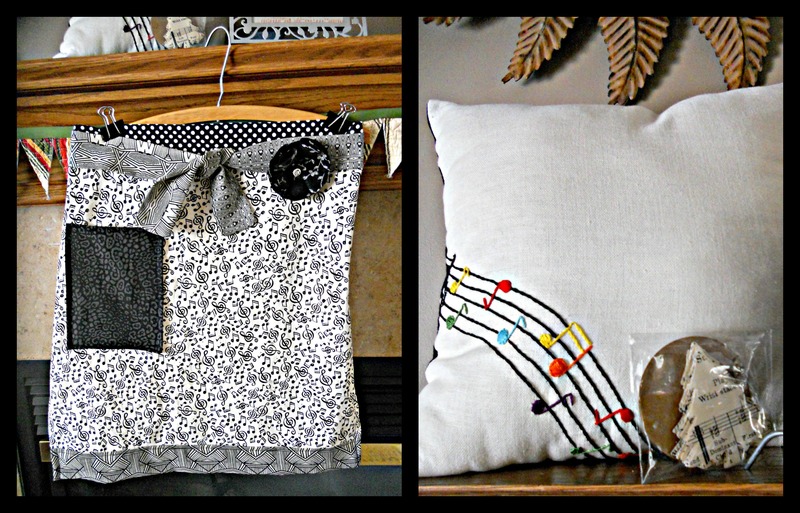 I love the embroidered music notes!! What embroidery machine do you recommend? Oh I love it all! And I wish I could bid on it at the auction — it would be a perfect gift for my son’s piano teacher! That is so sweet of you! And I used to be a piano teacher, so I applaud your idea of a gift! 🙂 Maybe you can put something like this together, too! I love a themed gift basket! And coming from a music-lovin’ family, this post is giving me all sorts of gift ideas for Christmas this year…thanks for the inspiration! I’m excited. Ive got so many ideas, just have to decide on a few. You have such great ideas and are so creative! loved it too…music works with lots of things…and especially this lovely basket! Gift baskets make the best presents. You would be good at that and they are becoming more and popular even here. I love the musical pillow! Looks really lovely, anyone would be happy to receive this basket of goodies. I love the pillow. I play the piano and it would brighten my day. this is so awesome! thanks for including The Highnote! You would be the perfect person to create gift baskets. You are very talented, and have great taste, which in our experience, is a fairly unusual combo!